Sabahi ENTERPRISES Co. will be representing Select Botanical in Booth numbers 159-162. 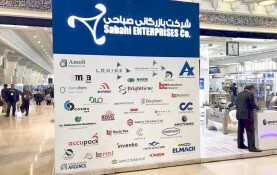 We hope you can stop by and meet our distributors in Iran. Produced of selected raw materials, our plant extracts are adjusted meeting the same quality standards maintaining batch to batch consistency. We monitor the complete manufacturing process from raw materials to the finished products.